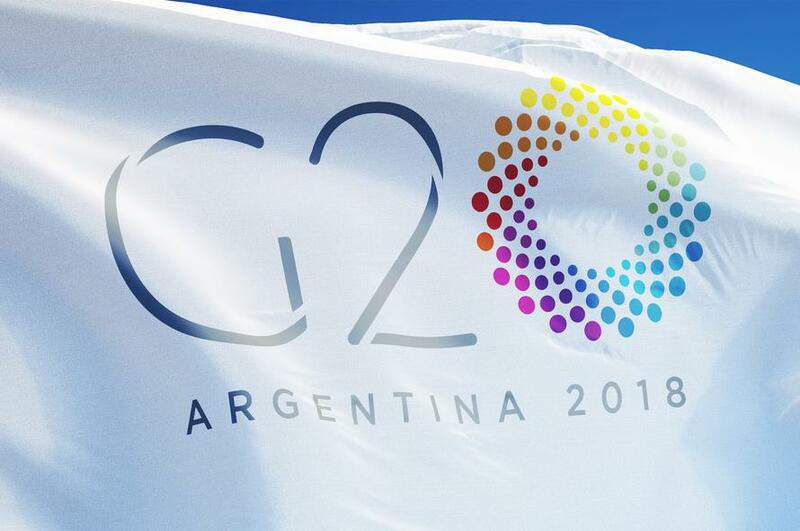 This weekend, the G20 nations meet at Buenos Aires. The most important issue will be America’s use of trade policy, ostensibly to bring an end to China’s unfair trade practices. Rather, it could mark a significant milestone in the cold war against China and drive the global economy into a slump. President Trump initiated the trade war with China. There is a widespread assumption he is pursuing his “art of the deal”, coming into negotiations aggressively to get a satisfactory compromise. Therefore, the script goes, China will be forced to climb down on its restrictive practices, technology and patent theft, and modify its Made in China 2025 (MiC2025) initiative to open it to American corporations. Trade negotiators from both sides have been working in the background to achieve some sort of progress before Presidents Trump and Xi meet at the G20 this weekend, which buoys up hopes of a positive outcome. If so, it will be the start of a more public process, perhaps with threatened trade tariffs deferred. Meanwhile, the rhetoric on tariffs has escalated in recent weeks, as is often the case in negotiations when President Trump is involved, and particularly when deadlines loom. But there are concerns the situation is more serious than this optimistic version of events would have us believe. This article briefs readers about the bigger picture behind this trade spat, which is just one battle in an ongoing financial conflict between China and America. Worryingly, it takes place against a deteriorating economic outlook for the world’s largest trading bloc, the EU. American sources have been upping the rhetoric against China’s trade ahead of the G20 both generally and specifically. For example, the US has accused China’s Huawei of planting spyware in electronic equipment. Huawei is a major global telecoms manufacturer and a leader in the development of 5G mobile technology, set to become more important to data transfer technology than broadband, and the Americans obviously want to shut them out of this market. It was widely believed the Trump administration pursued a tough stance against China’s unfair trade practices to maximise the Republican’s success in the mid-term elections. If so, it was a policy that failed, with the Democrats gaining 38 seats in Congress. In any event, the mid-terms are no longer relevant to American trade policy, if they ever were. The wider trade concerns expressed by America are over access to China’s markets for American corporations, the protection of intellectual property, and exclusion from MiC2025. But with MiC2025, it is a case of the American pot calling the Chinese kettle black, because America is also increasingly protectionist. However, there are small adjustments China can make to seek a trade resolution, for example modifying or dropping clauses limiting foreign involvement in key industries. Furthermore, there are pressures on the American side to seek an accommodation with China from both American-based multinationals with cost-effective supply chains in China, and from financial markets which have nose-dived in recent weeks. Add to that the soya farmers in the US, and resolving trade disputes should be a no-brainer. Assuming a positive outcome, we can then expect that China’s economy, which has become a material driver for global economic growth, will have significant negative pressures lifted from it. The yuan will then rally, and with it a decent recovery in US stockmarkets will surely follow. US stockmarkets are important to Trump, having hitched his wagon to them. Surely, he would like to see higher stock prices. China would also welcome a trade deal. In China, the uncertainty is affecting the availability of bank finance for private sector manufacturers and undermining consumer sentiment. With MiC2025, China wants to catch up with the West when it comes to manufacturing technologically-advanced products. Its objective is reasonable. MiC2025 has singled out ten sectors for government support, from robotics to transport, to new-generation IT, to bio-pharma. By encouraging development in industrial sectors, China is doing what all other governments do, including the US, and the US surely knows it. Therefore, if trade is the genuine concern, all reason suggests a positive outcome from this weekend’s G20 will occur, the yuan will rally as will Wall Street. And President Trump will be praised by American industry and financial markets for his successful negotiating strategy. There is a deep problem with this analysis, which was exposed at the Asia-Pacific Economic Cooperation summit in Port Moresby, capital of Papua New Guinea two weeks ago. For the first time ever, APEC broke up without a joint communiqué. It was also reported that the police were called after Chinese diplomats tried to force their way into PNG’s foreign ministry. Geopolitics overshadowed trade issues with tensions boiling to the surface. US Vice-President Mike Pence accused China of debt diplomacy, whereby China was creating debt slaves of the smaller nations. It was in short, a diplomatic disaster. It was also a timely reminder that there is a bigger picture, with America determined to limit Chinese expansion. The politics included criticism of China’s annexation of reefs in the South China Sea as well as the “debt slave” issue. The US, in conjunction with Australia, promised to develop a naval base at Lombrum on Manus Island, about 350 km north of PNG. Furthermore, the US has agreed with Australia and Japan to spend some $2bn improving PNG’s infrastructure, including electricity. Doubtless, the US feels it has now bought PNG’s cooperation in its cold war against China and prevented China’s exploitation of PNG’s resource potential. It hopes to have called a halt to China’s economic expansion into the South Pacific. Australia will also have greater security from her largest customer, if it is needed in future. Another delicate issue is Taiwan, with America sending two warships through the Taiwan Strait in a move seemingly designed to provoke China. So those hoping for a positive outcome from the G20 might like to note that it is at odds with the way America is moving on the Pacific chessboard. In any attempt to divine the economic future, it is a mistake to think only in terms of China and America. The largest economic bloc by GDP is the EU, and it has also been cast into a trade and political never-never land by President Trump. The EU is losing its security blanket, which has always been provided by the US through NATO. It is now planning its own army, which will almost certainly take over from NATO in the longer term. Trade differences with the US have been put on ice but are still there. The EU’s approach to trade is deeply protectionist, having imposed over 12,500 tariffs on imports into the EU. Additionally, Brussels regulates to the micro level what products can be sold within the EU. So, in the case of Huawei’s 5G technology referred to above, the battle in Europe is less about security issues (though they are always there) but more about influencing or responding to the regulatory regime, which is effectively controlled by its European competitors based in the EU. In this context, Britain losing all her power to restrain protectionist instincts in the EU is crucial. The UK has been the driving force in supporting liberal trade policies against protectionist France and Germany, and following Brexit that is now no longer the case. The EU is bound to become increasingly inward-looking as a consequence of Brexit, increasing both tariffs and regulations. Add to this a developing euro crisis, with interest rates stuck below the zero bound, and it is hard to see how the EU will not resort to increasing state control of both money and trade. From China’s point of view, the time when her export business drove her economy must be in its sunset phase. Even if a trade agreement with the US is achieved in the coming months, there’s no guarantee Trump will not renege on a deal. China’s leadership had planned for this some time ago, with a state-induced shift of economic emphasis away from export dependency. Instead, there is a strategic move towards a more service-oriented economy, with better infrastructure and improved living standards for a rapidly growing middle class. But the pace of this strategic change is being swiftly overtaken by events. Therefore, China’s leadership needs to accelerate its plans in the light of both President Trump’s trade and security policies, and the knock-on effects of Brexit on EU trade policy. The implications for global growth are undoubtedly negative, even dire. If China accelerates her plans towards a service and technologically driven economy, it is bound to lead to a temporary rise in unemployment from its redundant export industries before labour is transitioned to the new. The social consequences could become destabilising. In the US, the problem is a potentially stagnating economy coupled with rising prices, fuelled in part by tariffs on imported goods. Only this week, Trump made it clear not only is he prepared to increase tariffs from 10% to 25% on $200bn of Chinese imports from 1 January but is prepared to extend tariffs to all Chinese imports. The walking shadows of Smoot and Hawley once more strut and fret upon the global stage. It may be the art of the deal, and President Trump displays the bravado of someone who has his opponent on the run. If so, he risks the enjoyment of the chase while ignoring the collateral damage. But the threat of tariff-inflated prices cannot be ignored by the Fed. If President Trump refuses to find a means whereby China can save face, which is rapidly becoming the single most important issue this coming weekend, the prospects for not only China’s economy, but that of the US and the EU as well, will rapidly deteriorate.